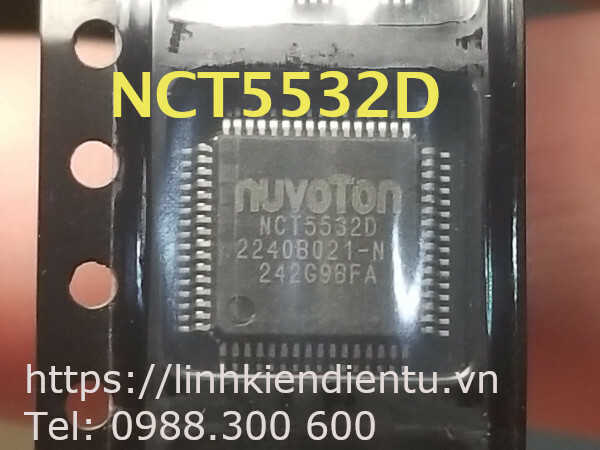 The NCT5532D provides one high-speed serial communication port (UART), which includes a 16-byte send/receive FIFO, a programmable baud rate generator, complete modem-control capability and a processor interrupt system. The UART supports legacy speeds up to 115.2K bps as well as even higher baud rates of 230K, 460K, or 921K bps to support higher speed modems. The NCT5532D supports keyboard and mouse interface which is 8042-based keyboard controller.